Trutrack Suspension understands setting up car suspension for the streets and roads of Australia today. The handling and control of your prize vehicle shouldn’t be compromised or restricted if the initial suspension design didn’t take into account Australian roads. Trutrack suspension will build your car suspension to satisfy the legal requirements of any State or Territory in Australia or New Zealand. Trutrack understand all the legal height requirement and restriction laws in building street suspension. 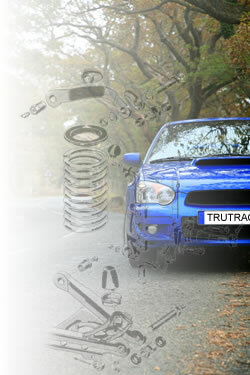 When your car arrives at Trutrack Suspension it is analysed by the senior suspension technician. A personal consultation takes place between the client and suspension technician. The client determines how their car should handle the road and our experienced technicians explain the best way to achieve it. Trutrack Suspension understands client needs differ from one another. Many Trutrack Suspension clients do the occasional ‘track day’ in their street car. This is where suspension technology surpasses factory setup. Trutrack can build your street suspension to suit your individual needs and those of your vehicle. Using the latest technology and highest quality parts available from all over the world Trutrack can individually engineer suspension to satisfy the fussiest needs. Click here to send an enquiry to Trutrack Suspension regarding your vehicle.